At our clinic, we have been using high-tech digital needle system – The Wand Plus since 2004. This is to give patients the necessary anaesthesia, before dental treatment , in the most painless way possible. We are aware of that over 80 % of population is concerned about fear on dental treatment - either from treatment or needle before the treatment. We can assure you that average reduction of pain via our digital needle is over 90 % when compared to standard dental needle. 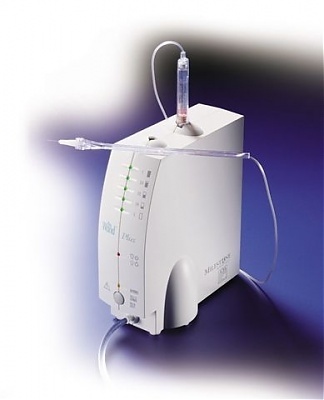 The Wand Plus is the first computer controlled digital injection system for delivery of local anaesthetic. It is a breakthrough development replacing the 150 year old technology of syringes. The Wand provides precision needle control and precision anaesthetic delivery. < For any further information regarding our treatments or practice, please contact the Dental Clinic at World Tower and we will be more than happy to help answer your questions or arrange an appointment for you.